New release (20140627) of CM11.0 for S3 Mini is available! Is the ”Charging” problem (on i8190L) fixed on this build? What was your previous version? was it a non f2fs version? My previous version is CM11 20140626. Today I updated with 20140627 and lost my settings and app previously installed…. Thats rare, maybe you will lose some settings but not all and data. Maybe you format data. When I try to format to f2fs system I don’t see te f2fs option when I follow the tutorial. Wats wrong? Dont format system to F2FS the rom do it by default. Yeah I done that just now, works :).. Should I also change the system partition to f2f too? No only /data and /cache the /system partition will be changed to F2FS automaticly. how can I change the camera folder? camera that comes in the rom allows you to save photos on sd. Open the app, leave your finger on the screen for a few seconds and you will see a menu, go to settings, then you more options and the option appears to save photos on sd. looking at camera next in play store, works well and has the option to save to sd. I just only watch options of quality of photos. pincha sobre la cámara y busca botón derecho ajustes dale otra vez ajustes sale otro menú le vuelves a dar en ajustes y sale Almacenamiento ha y dos opciones pulsa en Tarjeta SD y ya esta. I found it easier to use a xposed module for that. (download2sd). So all pictures (and downloads) will be saved automatically to SDcard. Amparo, unfortunately, Google camera has no option to set External SD to be default space to save pictures. can explain me how install f2fs? First i have to thank you for all the great work Nove Team! My question is : should we flash Gapps with each release? coz Google Services stopped for me after today’s release. Yo tengo la kit kat 4.4.3 pero tengo ganas de regresar mi s3 mini a jelly beam para recuperar las funcionalidades de samsung necesito q me den aua consejo me regreso o me mantengo en KitKat? I am version with 27/06 and when real racing 3 game, catching this very thing up to version 20/06 not happened. Not something wrong? When Android L come to our phone…? I want s advance, pleaaaaaassssssseeeeee! Android L is 4.5 or 5.0?? Two or three builds ago the phone cannot sleep due to SystemUpdateService (about 93% awake). I’ve flashed GAPPs for 4.4.4 hoping for the fix, but no luck. Anyone else having same problem? Update: disabling OTA updates fixed the problem. This build works great. 🙂 Definitely the most responsive of the last ~2 weeks. The Update from 20.062014 the offline charging worked great , baut after Update 21-27.06.2014 it dont´t worked correctly. Great ROM , f2fs seems to improve performance in practice. There is one bug that up till now hasn’t been fixed yet. In Chrome, when switching tabs, there is some graphics corruption visible, likely caused by a bug in the video driver. i hope SystemUI will be fixed soon! i’m getting rid of SystemUI crashes right now! 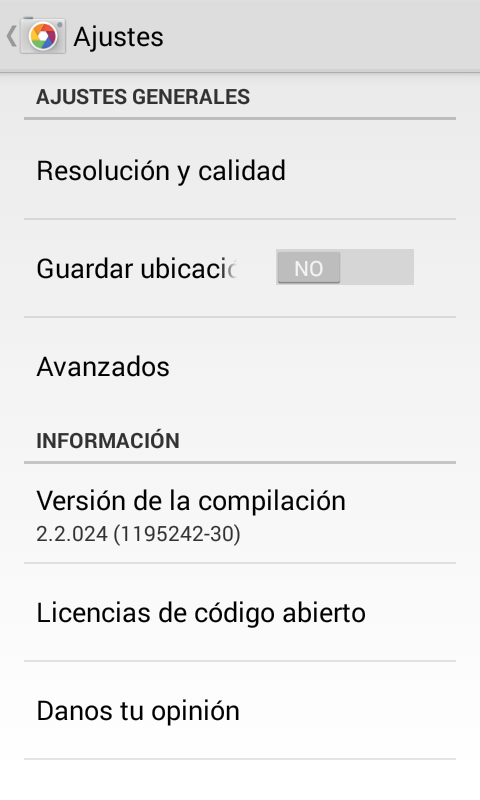 Tengo esta ROM pero con 4.4.3, tengo que cambiar las gapps o solamente flasheo la rom desde el recovery? Gracias.